Disney kicked off a brand-new photo campaign on social media with #DreamBigPrincess, which celebrates the inspirational stories from all over the world to encourage children everywhere to pursue their dreams. Nineteen female photographers from 15 different countries have curated a series of images displaying real girls and women as part of Disney’s “Dream Big, Princess” campaign, which was launched in 2016. This initiative was created to inspire kids with the stories of Disney Princesses. Photos that are shared on social media with the hashtag #DreamBigPrincess will help to raise funds for Girl Up, the United Nations Foundation program that supports adolescent girls’ pursuits for leadership and the empowerment of girls everywhere. Along with the goal of inspiring kids with positive images and stories, the initiative also hopes to make a difference for girls who face obstacles on the path to chasing their dreams, with collaborative effort from Girl Up. Now through Oct. 11, Disney Worldwide Services will donate $1 US for every public post of a photo using the hashtag #DreamBigPrincess, as well as likes on those posts on Facebook, Twitter or Instagram, for a minimum donation of $500,000 US and up to a maximum of $1 million US. Girl Up’s leadership programming encourages girls to take charge and become advocates for fellow girls around the world, and give them the tools they need to make a true difference. “Girl Up envisions a world where every girl can reach her full potential and be an advocate within her community for positive change and empowerment. 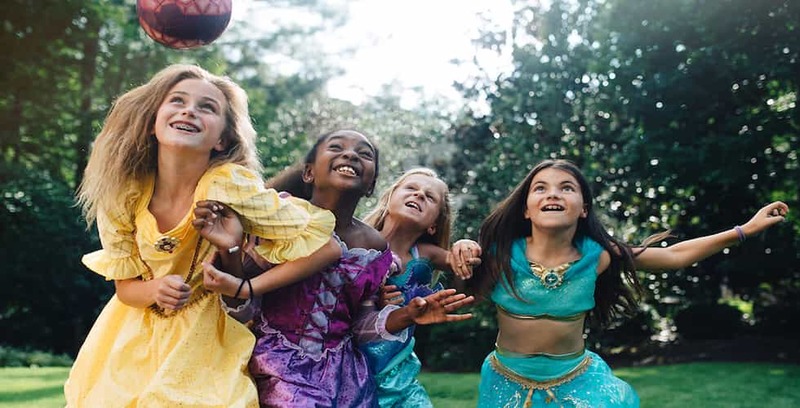 The #DreamBigPrincess campaign is perfectly aligned with out goals and we’re excited to partner with Disney and this incredible group of women to spotlight what it means to dream big around the world,” said Melissa Kilby, Director of Girl Up. Annie Griffiths, one of National Geographic first female staff photographers, profiled and photographed eight young female leaders at Girl Up’s Leadership Summit in Washington DC, in order to share their stories with the campaign. “Every picture tells a story and I’m delighted to be party of an initiative that tells so many stories that are interesting and diverse. I hope that people around the world will be motivated to share their own inspiring #DreamBigPrincess images in support of Girl Up,” says Annie. Girl Up Teen Advisor alumna Meg Schwartz was given the opportunity to pursue her dreams of being a professional photographer by being able to create images of Girl Up celebrity Champions for the #DreamBigPrincess campaign. Her images include YouTube creators Brooklyn & Bailey, philanthropist and actress Monique Coleman, and actress Katherine McNamara. The Dream Big, Princess initiative has reached millions of children and their families all over the world, and the new photo campaign is building on this success by highlighting and celebrating women and girls with their stories and inspiration.